Getting into the forest is the most rejuvenating experience possible! Topslip is the main outpost of the Indira Gandhi Wildlife Sanctuary, A national park administered by the Tamil Nadu Forest Department in the Western Ghats Catchment area of the state, bordered on the West by the Parambikulam sanctuary in Kerala and on the East by the Anamalai hills. The entire complex is a very precious reservoir of biodivarsity for an ecosystem that includes one of the only remaining regions of tropical rainforest, truly unique shola forests and medium montane grasslands. 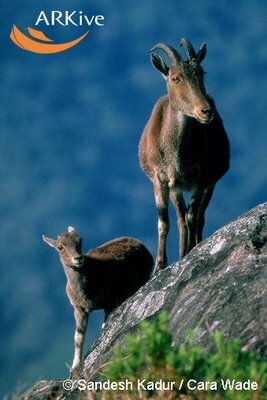 The last real populations of the Nilgiri Tahr (a type of mountain sheep/goat – Nilgiritragus hylocrius) are to be found in the upper reaches of these very habitats in isolated pockets of the Western Ghats biosphere. Arriving on Wednesday, we spent one night at the Chital Forest Lodge and the next morning were given a rare oportunity to experience the newly built Treetops Suites. These are real treehouses placed, seemingly precariously, on stilts of living teak trees, the suites are comfortable and include functioning bathrooms and even hot water! The evenings were misty and with the onset of the monsoons, we had periods of heavy rain followed by intervals of light drizzle. 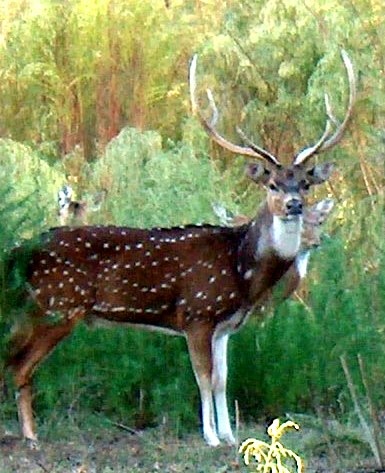 The spotted deer and wild boar were out in force and the population of the Nilgiri Langurs (Trachypithecus johnii) seems to be very healthy in this forest but they are endangered due to habitat loss and poaching as it is rumoured that their flesh has aphrodisiac properties. We were surprised by a herd of the endangered Kaattu Erumai (Gaur, Indian ‘Bison’ – Bos gaurus) who wandered through the camp on the second day. 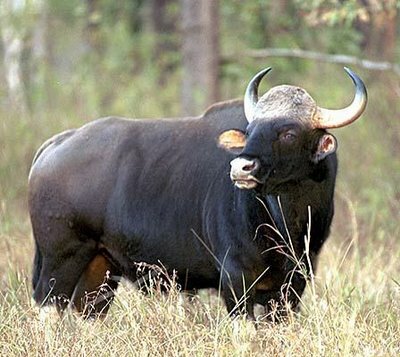 These are massive beasts with the bulls weighing in at over a ton, beautifully marked, generally shy and found only in deep forests, it was a treat to watch them calmly walking through. The nights were very special. A serenade of insect, tree frog and barking deer calls, with lowering mists and very faint moonlight filtering through. The barking deerMuntiacus muntjak) were obviously tracking larger predators, either leopards or tigers. Oh, the smells! Delightful wafts of wildflowers, honey, ripe fruits and spices; clean healthy air to relish breathing. All of our attempts to enter the Karian Shola were dashed by the spells of pelting rain. This patch of Shola is very special as it is one of the last resorts in India for the Ceylon Frogmouth (Batrachostomus moniliger) a fascinating bird that mimics dead leaves so perfectly that it is hard to spot even from a few feet away! Just as we were getting ready to leave, Sellamuthu, the Treetops’ Forest Guide, pulled us out to watch a pair of giant malabar squirrels (Ratufa indica) gambolling in the tops of the nearby teak trees. They were having fun chasing each other around and making incredible leaps from branch to trunk completely oblivious to the fact that they were a good 100 ft up. Even in these aparently rich forests man’s ravages are very evident. 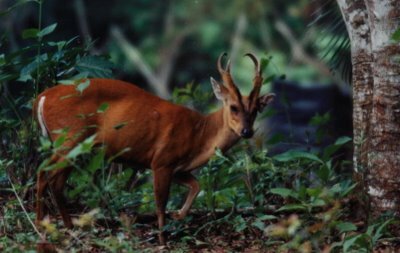 Large plantations of teak tree monocultures have replaced a highly diverse forest ecosystem. Attempts to propagate the forest species of trees have been failures and it is becoming obvious that climate change is inimical to the original habitats. The planted seedlings simply don’t survive. In oder to try to promote diversity, species of bamboo have been introduced but introduced species usually create their own imbalances. We are witnessing bioinversity in action. So, we take our children to these forests, knowing that our grandchildren will not see anything resembling them at all. 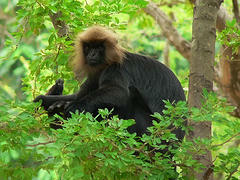 Thanks to Pandiyan for the nilgiri langur pic.